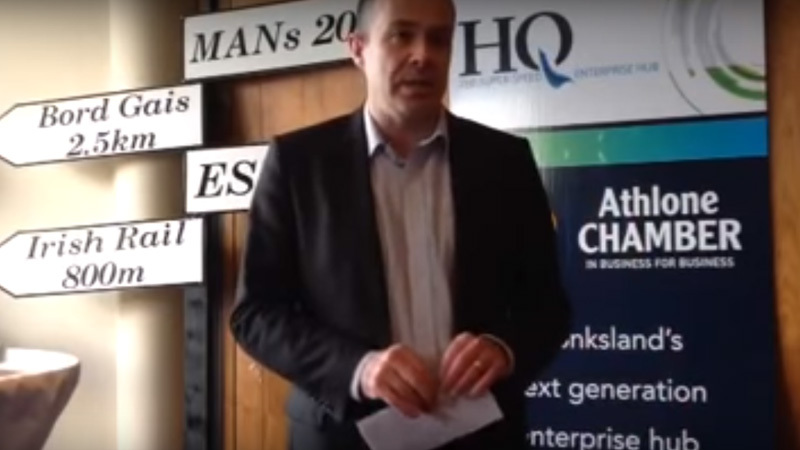 Over the last couple of years I’ve been part of a sub-committee of Athlone Chamber of Commerce, which has recently produced a feasibility study on the establishment of a new a Smart Technology Enterprise Hub. We are now seeking expressions of interest from those who wish to use this new centre, which we hope to have operational before the end of 2015. We now have a plan for a new enterprise incubation hub in the industrial heartland of in Monksland, Co. Roscommon that would focus on high tech/digital micro enterprises in the IT, creative industries and smart technology sector. The committee will be working closely with Roscommon County Council to deliver this hub and a second sister hub in Roscommon Town.